EU countries bolstered separatist sentiment in Europe when they bowed to US pressure and supported Kosovo breaking away from Serbia. They now face such consequences as the Catalan crisis, Russia’s President Vladimir Putin says. “Did they not know about centuries-old contradictions of this nature in Europe? They knew, didn’t they? But at the time they de facto welcomed the disintegration of a number of states in Europe, with undisguised relish,” he added. The EU’s “unanimous support of Kosovo’s secession” has proved a turning point, and Europe now faces the repercussions of short-sighted policies aimed at “pleasing the bigger brother from Washington,” Putin believes. “And now, there you have it – Catalonia, Kurdistan in another region, and the list might be far from complete,” he added. “It turns out that in the eyes of some of our colleagues, there are legitimate fighters for independence and freedom, and then there are separatists, who cannot defend their rights even through democratic procedures. 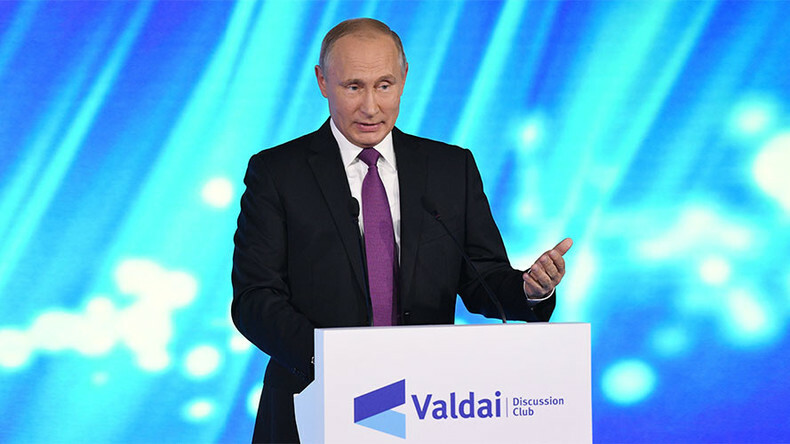 Those like us say all the time that such double standards – and it’s a glaring example of double standards – are a serious threat to the stable development of Europe and other continents, to the implementation of integration processes worldwide,” Putin said. Matters in Catalonia came to a head when local authorities pushed for the October 1 referendum, in the teeth of objections from Madrid, which deemed it illegal. The vote took place, despite a massive police crackdown on the separatists, and led to a standoff between Barcelona and Madrid. 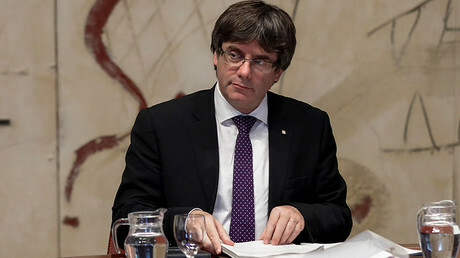 The local Catalan government declared “suspended independence” and called for dialogue, while the federal Spanish authorities urged the region to clarify its status. In the most recent developments, Madrid threatened Barcelona with revocation of its autonomy via Article 155 of the constitution. The Catalan Government, in its turn, promised on Thursday to declare true, not-suspended independence if such a hostile move takes place.